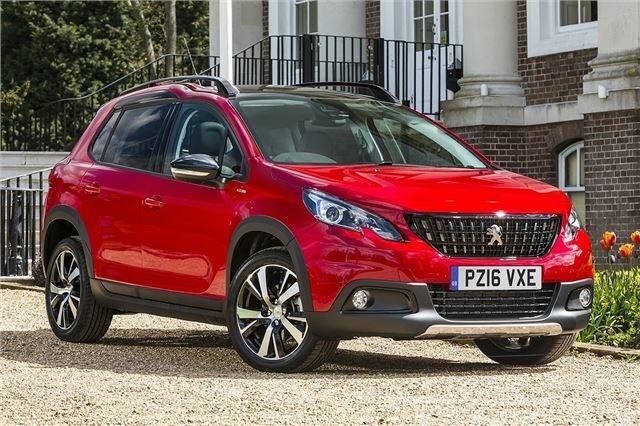 You have to look closely to see the changes Peugeot has made to its refreshed 2008. The new grille is the most obvious, which gives the car a beefier look, but externally that’s about all there is to see. 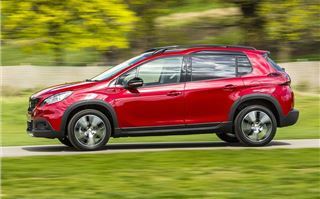 There have, of course, been tweaks under the metal plus there's a new top trim level. 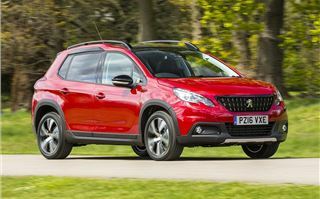 But more importantly, the 2008 now only comes with Peugeot’s latest, most economical petrol and diesel engines. We tested the new, top-spec GT Line trim level, which comes with plenty of sporty styling extras inside and out, including a gloss black grille and red details in the cabin. 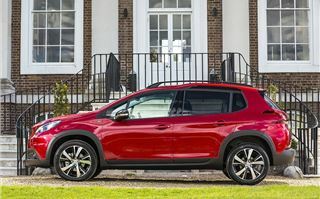 The seat belts, steering wheel and seats all have red stitching and there is a glowing red surround for the instruments, evoking the style of Peugeot’s GTI models – but without the lively hot hatch character. That’s not really a bad thing, though. We tested the car with the new three-cylinder 110PS PureTech petrol engine, paired to the smooth EAT6 automatic transmission. It's tremendously quiet and relaxing to drive. Even at motorway speed there is barely any noise, save for a little wind whistling around the door mirrors. 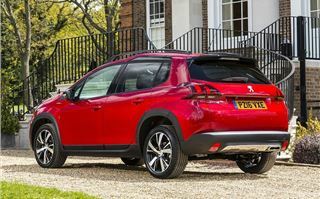 It’s frugal too – official figures are 58.9mpg and 110g/km. Through corners the 2008 feels stable and secure. The steering wheel is small, which initially feels like a sporty touch, but in practice there’s not a huge amount of weight or feel. It’s not really a problem though – the 2008 steers neatly enough and body control is good, without any alarming roll. The EAT6 auto responds well, changing down when required through corners or on hills. We also tested a more powerful 130PS PureTech with a manual transmission. At 230Nm the 130 has considerably more torque and with six evenly spaced gear ratios it romps up hills with an alacrity astonishing for a 1.2 litre engine. Unlike Ford's EcoBoosts it can also be very economical. We saw an average of 49mpg over 12,000 mile from this engine in a 308. The 2008 is at its best with a petrol engine, but for those who want a diesel there are three options, all using the same 1.6-litre BlueHDI base. Outputs are 75PS, 100PS and 120PS. 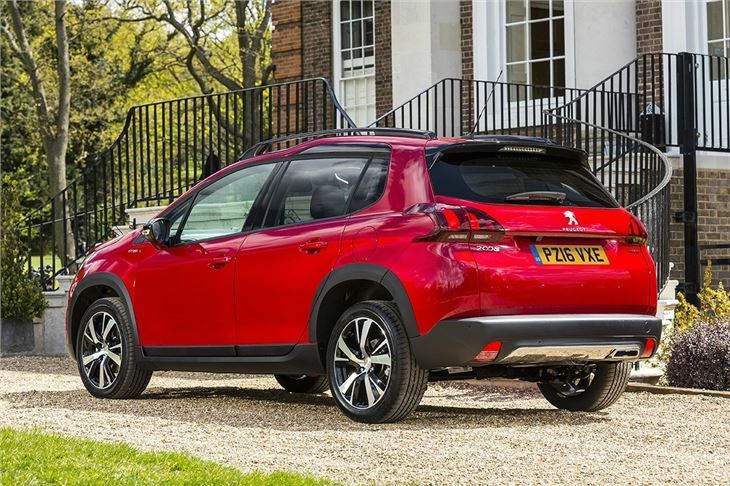 Of these the 100PS variant provides the best balance of performance, price and efficiency – official economy is 76.3mpg, with emissions of 97g/km. For high-mileage drivers it’s probably the best choice of engine. 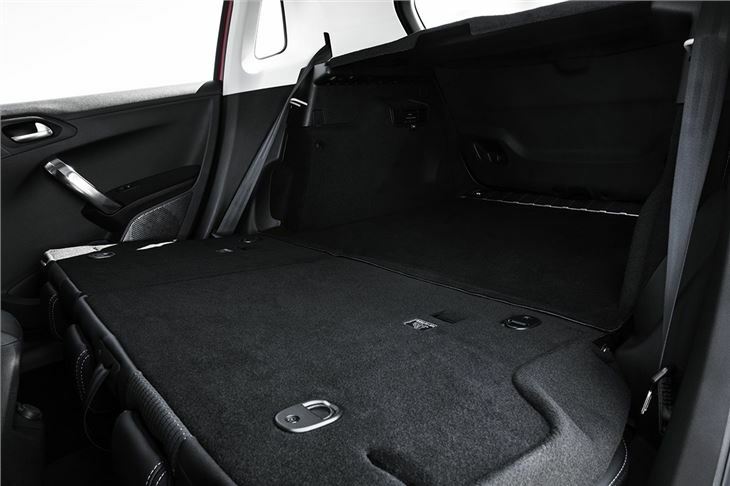 There is a generous amount of head and knee room in the back, while the boot volume is on par with a Nissan Juke or Vauxhall Mokka at 360 litres. 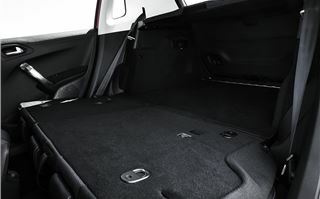 This can be expanded by folding the rear seats down, providing a long, flat load deck with 1172 litres of capacity. Despite this being a pseudo-SUV, the 2008 has a fairly low load deck which makes getting heavy items in and out easy. However, the parcel shelf doesn’t lift with the tailgate. Up front, there is a tiny steering wheel which takes no time to get used to, along with comfortable seats and a neatly laid out dashboard and centre stack. Material quality is generally good, with a mixture of hardwearing materials low down and soft-touch plastics higher up. It doesn’t feel as plush as some crossovers, but it’s not bad at all and the 'i-Cockpit' layout is unique. All but base-spec cars come with a 7-inch touchscreen, which isn’t the best system around but works well enough. It comes with support for Apple CarPlay and MirrorLink, but no Android Auto support. That means most smartphone users will be able to link up without much difficulty to control their apps on the go – but the lack of Android Auto is a shame, considering how user-friendly it is for Android phone users. 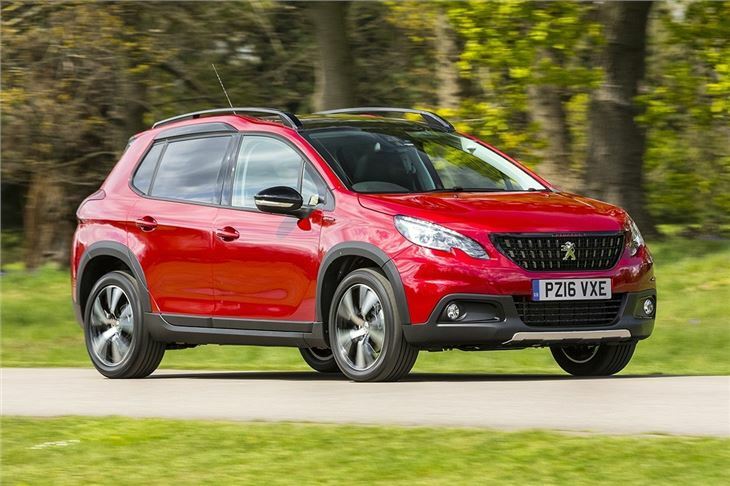 There isn’t an all-wheel drive option, but in most variants from mid trim level up Peugeot offers a system called Grip Control. This provides settings for snow, sand, mud and normal conditions, with computers controlling the front wheels to get the car out of low traction situations. Cars with Grip Control also benefit from all-season tyres – ideal for rural buyers. Other systems include automated parallel parking and autonomous emergency braking, but both are optional. 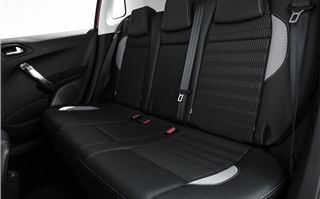 There is a good level of standard equipment though – all cars come with air conditioning, cruise control, Bluetooth and USB connectivity. Allure is probably the best value trim level, featuring auto lights, auto wipers, parking sensors and dual-zone climate control, but it costs from £16,315. 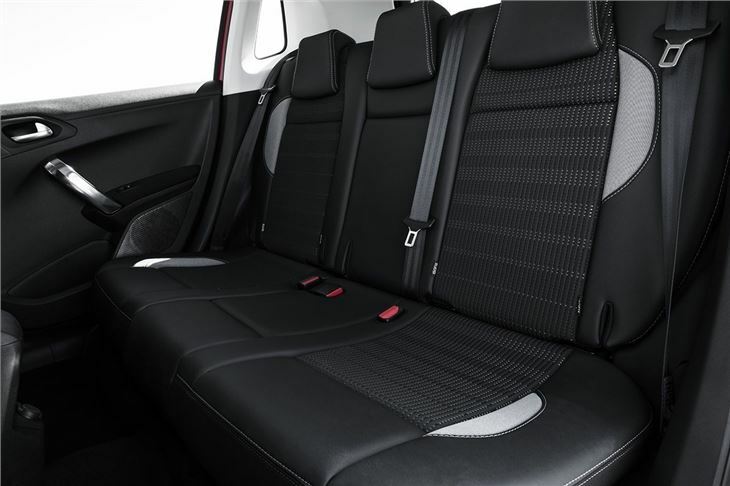 A top-spec SsangYong Tivoli ELX, complete with leather seats and navigation, can be bought for £16,000. With the latest PureTech petrol and BlueHDI diesel engines, the 2008 is a better car today than it was at launch. 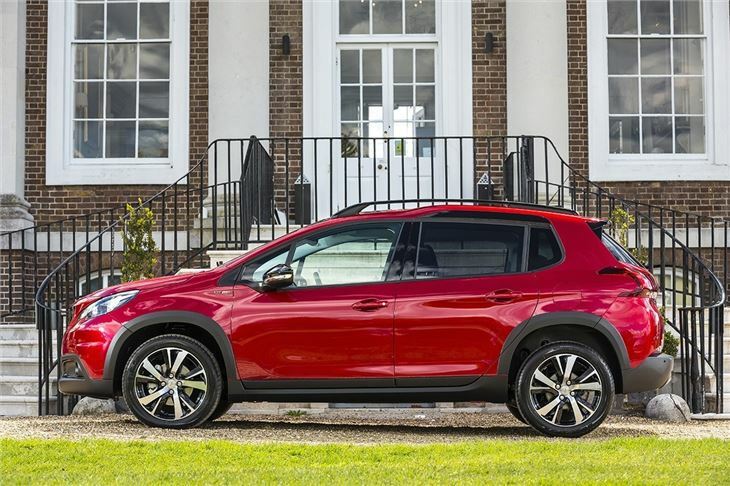 It’s competitively priced, affordable to run, well-equipped and well-made, making it a perfectly worthy car. 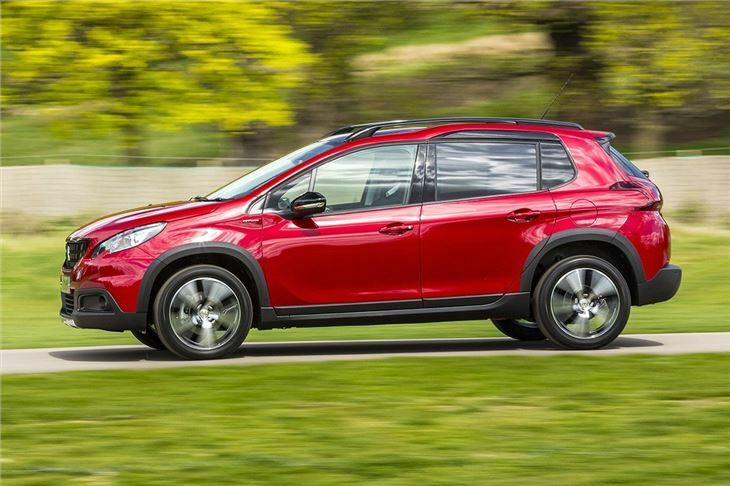 It faces some very stiff competition in what is a very popular market, though – the Renault Captur, SsangYong Tivoli and Nissan Juke are compelling alternatives, so be sure to check them out too.